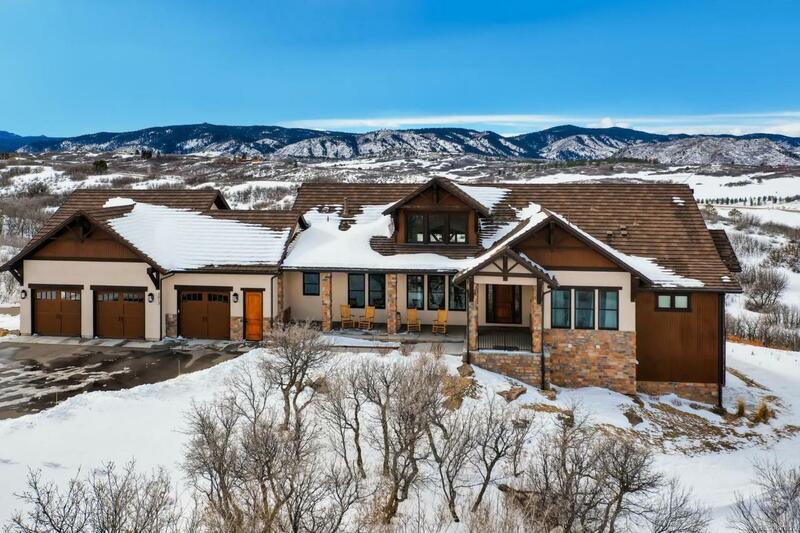 Experience the best of Colorado living in your own private paradise. Custom-built ranch on 5.52 acres w/ breathtaking mountain & city views. Home features 6 beds, 7 baths, a gorgeous chefs kitchen with Thermador appliances, teppanyaki grill & 2 islands. Stunning vaulted ceilings, exposed wood beams & 5-panel accordion door which fully-opens to combine inside & outside space. Escape to your tranquil & spacious main-floor master suite, gas fireplace, 5-piece bath w/ jetted tub, large custom closet & patio. 2 laundry rooms for homeowners convenience. Entertain in the walkout, finished basement. Dug-out theatre room wired for projector & surround sound. 1,400 bottle wine cellar, 5 bedrooms with private ensuite. Hot tub included. 4-bay oversized garage, central vacuum, dual furnace & 2 50-gal water tanks. Private, gated community w/ paved road for year-round access. A short commute to everything Sedalia & Castle Pines have to offer.